New beginnings. The Gown-O-Silk Ayrshire herd was established in 2005 and is slowly growing (due to getting mostly bull calves). 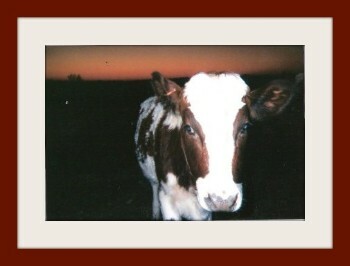 Pictured above is Gown-O-Silk Only Ophelia one of only 5 heifers born in the herd since its beginning. Ophelia is a daughter of Palmyra Mill Bennett 65002995. Milking time in our double 3 herring bone parlor. Above is another picture of Ophelia. Below is Gown-O-Silk Glasgow Aclaim 10057344224. Pictured above is Pumpkin . She was born on 10-26-2010. This sweet little grade is our 5Th Ayrshire heifer calf born to us. She is sired by Brow-Ayr Pardner Northstar (100465354). We are looking forward to good things from this little girl and hope she will be as fine a milker as her high producing and beautifully uddered dam, Sweet Potato. Pictured on the right is Gown-O-Silk Glasgow Aclaim 100573424. She was 1st place in her class as a yearling at the Douglas County Fair in 2009. Glasgow is sired by Palmyra Romeo Aclaim-ET (100323083). Her dam, MEG Martha May (100444461) was a daughter of Woodland View Jake-ET. 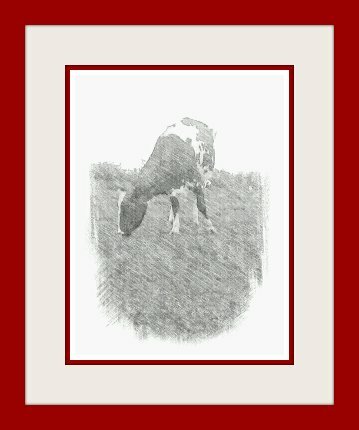 This page is dedicated in memory of W. Earl VanTassel, my father in-law and founder of the Dusty-Ayr Ayrshire herd. 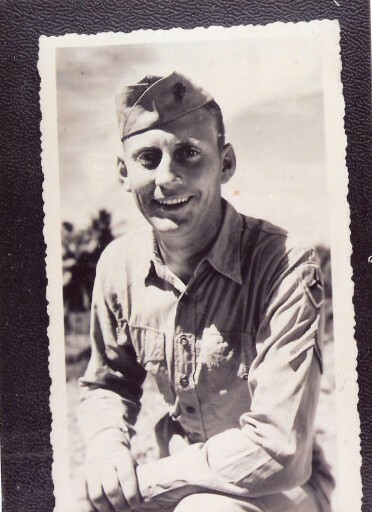 Earl began the Dusty-Ayr herd in the 1950s after having served his country in World War II as a tank driver with the US Marine Corps at Iwo Jima and other battles in the Pacific theater of war. He has taught us much about perseverance and fighting on against the odds. He has taught us all to never give up on your dreams by his example. In the early 1980s he lost his farm and herd but he never gave up on his dream and was able to start again in the 90s when he purchased a new farm near Mountain Grove, Mo. With a few registered Ayrshires he purchased from Canada the Dusty-Ayr herd literally came back from the dust. Sadly he was admitted to a Veteran's home due to failing health and once more had to say good by to his beloved farm and herd. Within six months of his admission to the home he passed away on Dec. 11th, 2010. I like to think of him now in those emerald green pastures of paradise milking those Ayrshires he loved so well. We found the words of "Don't Quit" hand written on the back of a legal note pad among Earl's belongings. We don't know if he wrote it himself or copied it from some other place, but this prose exemplified his look at life and so we share it here as an encouragement to others and a tribute to him and his dreams.